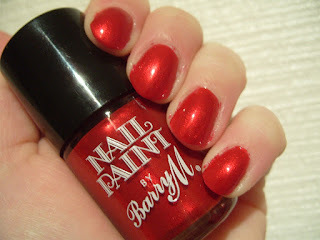 NOTD: Barry M "Kingsland Road"
NOTD: Rimmel Cocktail Colour "Shirley Temple"
And while searching for stuff on the internet I somehow stumbled across a new base coat from Bourjois.  It promises to make the nails 'perfect' and give a true colour result for nail polish. It's supposed to be anti-yellowing, which is holds huge allure for me. It's quite a thick gel like consistency which applies really nicely. 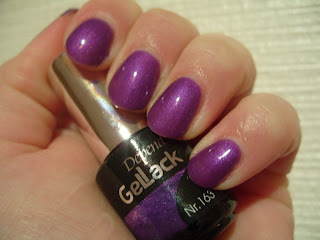 And you don't realise how well the lilac pigment works - my nails look really clean :) Polish goes on very, very smoothly. Me likey. 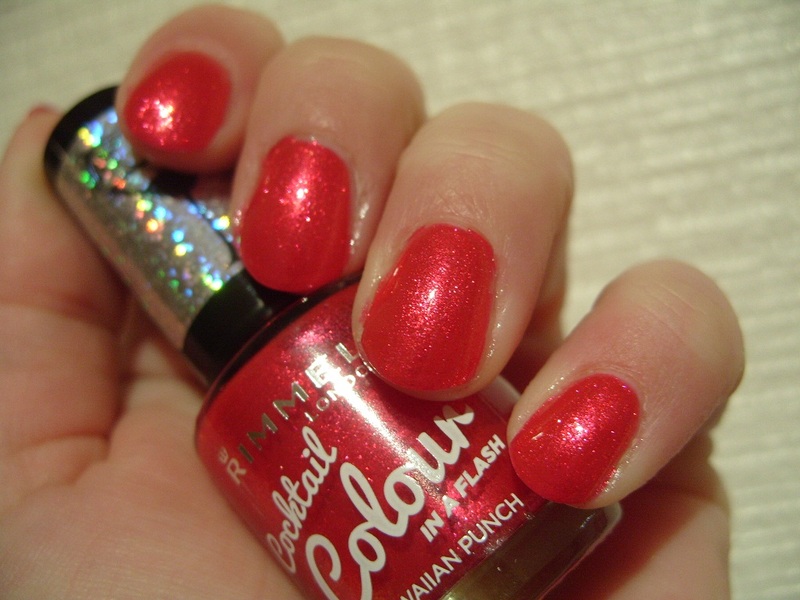 It's £5.99 in the shops so quite expensive for a drugstore brand but we will see how it wears! Now that I have a new base coat to try, I am keen on the new Nails Inc Kensington Caviar Gel Effect Plumping Top Coat, has anyone tried this? I have searched for reviews but there doesn't seem to be any?.. I have a heap of new stuff to review, and it's actually starting to annoy me that I have to write about everything... So I got some more new stuff today. Ahem. Anyway. I DID get the pink Barry M textured polish but I then saw something else and I was off on another nail polish adventure. Seventeen (Boots brand that used to be 17) has brought out 4 textured polishes. 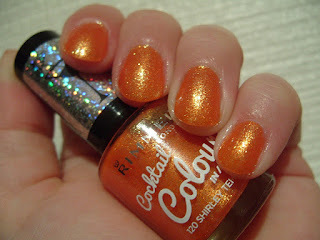 And then I saw the Confetti top coat from L'Oreal Color Riche... I also scored a 7 day trial of the new Lancome Teint Visionnaire foundation, so I will be reviewing that as well. 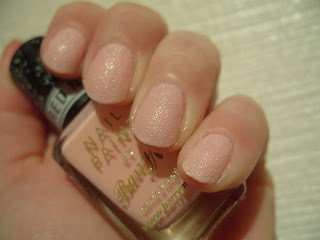 Anyway onto my NOTD. I decided that I needed something hot to go with the black so I chose my fave OPI "La Paz-itively Hot" Matte but then didn't like the finish with the accent nails. So I slicked on a coat of MegaShine and all was well again. This is my first mani with 2 accent nails - I suppose you have to get the inspiration to pull these off and I have been lacking in inspiration lately... 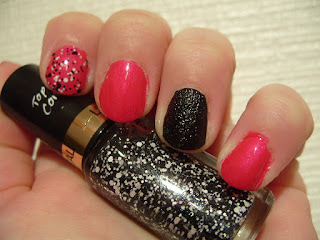 I did 2 coats of colour for the OPI and 2 coats of the Seventeen polish, which is called 'Rock Hard Nail Effects Black'. I have a feeling my lovely friend The Evil Beech will LOVE this one :) I put a coat of the Confetti top coat over the OPI on my index finger. L to R: OPI "Big Apple Red", Sensationail "Raspberry Wine", Depend Gellack "122", Gellux "Rosie Anna", Depend Gellack "163" and Gelish "Oocha Coocha.."
Valentine's Day NOTD: Barry M Textured Nail Effects "Atlantic Road"
This is 2 coats over a coat of my usual Sally Hansen Nailgrowth Miracle base coat. It takes a little while to dry down to reveal the 'sandy' finish. It applies a bit weird almost looks like it contains little glass bits as glitter?... You get little gritty tips, but I intend to file these smooth with my finest grit file once it's dry. 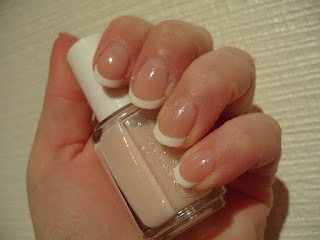 I used it with the Gellux base and top coat. I put on 3 coats of the colour cause I thought it would bring out the depth of the colour more. And I was right. It's VERY thick, even for a gel polish. You will need to apply it with a light touch or you will have that bleed to the edges you get with gel polish if you put it on too thick and put it under the hot LED lights. So I've been a bit slack with blogging lately, I've been really busy but I do apologise. I went to my fiancees Grandma's 90th birthday lunch on Saturday so I decided to wear red nails to go with my dress, so I chose an untried - Barry M "Retro Red". It was a limited edition some time back. This is 2 coats with MegaShine top coat. 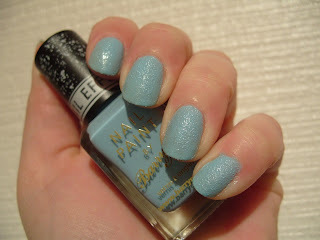 It looks a bit like Nails Inc "Aspen" but it lacks the magical depth of that true Nails Inc classic. Then today I stumbled across 3 new polishes from Rimmel called Cocktail Colour in a Flash :) I couldn't resist putting the pink one, "Hawaiian Punch", on already. It's a gorgeous fuchsia pink jelly glitter. It looks more red in the photo than it is in real life. It sparkles like crazy, almost like a glassfleck polish! This is 3 coats to minimize VNL with MegaShine top coat. Love this! 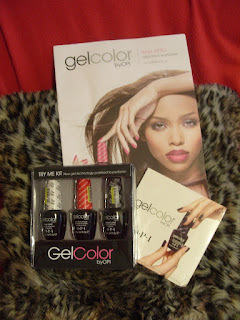 :) Can't wait to try on the orange one, "Shirley Temple"! There is also a purple called "Baby Bellini". Whatever you do, don't miss out on these, they will make your summer :) And they are £3.99 each, and even better, they are 3 for 2 in Boots just now.